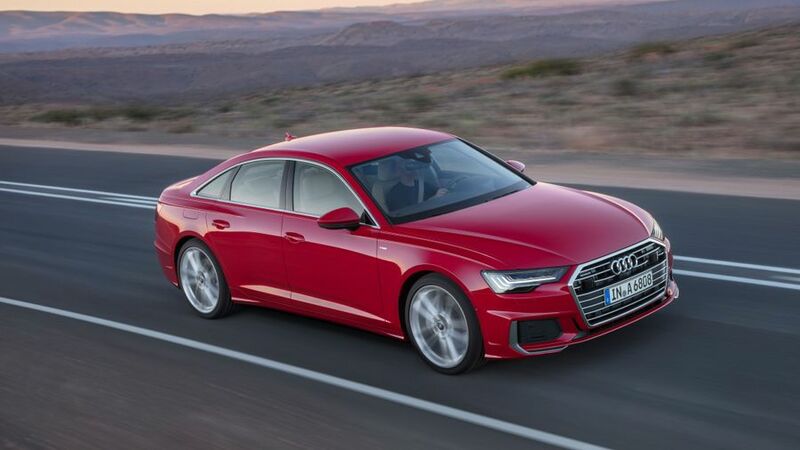 Audi has revealed its all-new A6, with the saloon getting a vast amount of equipment from the larger and more expensive A8, which includes a digital operating system and internet connectivity. It also comes with more interior space, a new suspension setup and revised styling, and we'll see it for the first time properly at this month's Geneva Motor Show. The new technology sees the A6 get the same triple screen infotainment set up as the A8, with a 12.3-inch display available in place of the traditional dashboard instrument cluster. This is then paired with a lower 8.6-inch screen that controls the cabin temperature and similar functions, while the satellite navigation sits on an 8.8-inch or 10.1-inch (depending on whether you go for the top spec version) screen on the top display. The car is also connected to the so-called ‘Internet of things’ which means it can talk to other Audis and provide real-time information on hazards and traffic. Plans are in progress to allow the car to help find hunt around for a free parking space in the near future – before the end of the year most likely. It will even be possible to do away with the key and unlock and start the car with an Android smartphone. Other new tech includes an adaptive suspension system, and a rear-wheel steering setup that helps with high-speed agility and reduces the turning circle for town manoeuvres. As part of the redesign, Audi says there is more head, leg and shoulder room both front and rear. 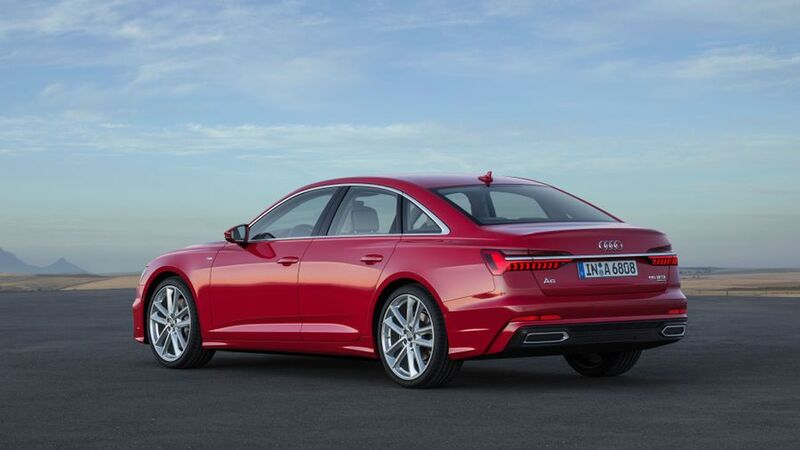 There are two engines in the new A6 at launch, and both will come with a degree of mild hybrid technology. This involves a battery that allow the car to switch off the engine and coast between speeds of 34mph and 99mph, while the start stop system can now get the engine going when the sensors see the car in front moving off in traffic. The two available to start off with are a 286 horsepower 3.0-litre V6 diesel and a 340 horsepower 3.0-litre V6 petrol. The diesel is the more economical, with fuel economy of up to 51.3mpg and CO2 emissions of 142g/km, while the petrol manages 42.1mpg and 151g/km. The petrol delivers some seriously impressive performance, too, with 0-62mph taking 5.1 seconds. There will be more to come, with a 231 horsepower 3.0-litre V6 diesel and a 204 horsepower 2.0-litre diesel both due later around the end of 2018. The new A6 will go on sale this summer, with first deliveries taking place in June, and prices set to start around £38,000. This represents a slight rise over the current car, but the smaller engines will bring that starting price down when they arrive.